Esley Hunt Bates was born on 25 Dec 1837 in Greenville, SC. 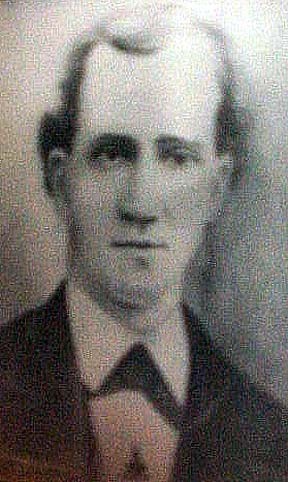 He died on 3 Jul 1892 in Pickens Co., SC. Esley married Mary Jane Burdine, and they had two children, Ida and Fannie Bates. Lt. Bates as he appeared in the Wallace House photo at right. 1872-1874 - Master - Keowee Lodge, Pickens, S.C.
1875 - Master - Bates Lodge, Easley, S.C.
1876 - South Carolina House of Representatives. Acknowledgments: Janette Bryant, Bates Lodge, Easley, South Carolina and Howard Gillison. Lt. Bates was elected to the South Carolina State House of Representative during the Redshirt movement of 1876. 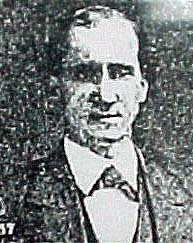 Bates was a very active voice in the return of home rule to South Carolina. In the early days of Easley, the Masonic lodge hall was upatairs over the Smith drug store, now Frierson's drug store. Pictured front row from left: Mart Couch, Marion Day, Elias Day, Squire Barton, Mr. Glazener, Mr. Cureton, Mr. Pickens, Chief Smith, John Jamieson, Ernest Hamilton, Walker Ford, Lawrence O'Dell and Captain Hudgens: Second row from let Gransy Satterfield, John Sitton, Tera Bowie, Andy Hamilton, Mr. Langston, Mr. Galger, Mr. Holcombe, Laban Mauldin, Dr. Russell, and L.J. Smith. 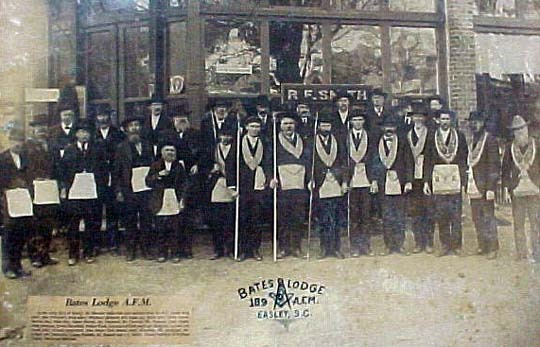 Bates Lodge A.F.M., Easley, S.C.